When you’re on a roll, you’re on a roll. Yet another poem. This one isn’t dark, it isn’t angsty and it isn’t an airy-fairy exercise in writing some particular form or other, it’s just a poem. I suppose it might be in ballad form. Or possibly something else altogether – my technical knowledge of poesy isn’t all that extensive so don’t take my word for any of it. Anyway, this particular bit of verse actually has its roots quite close to my heart. 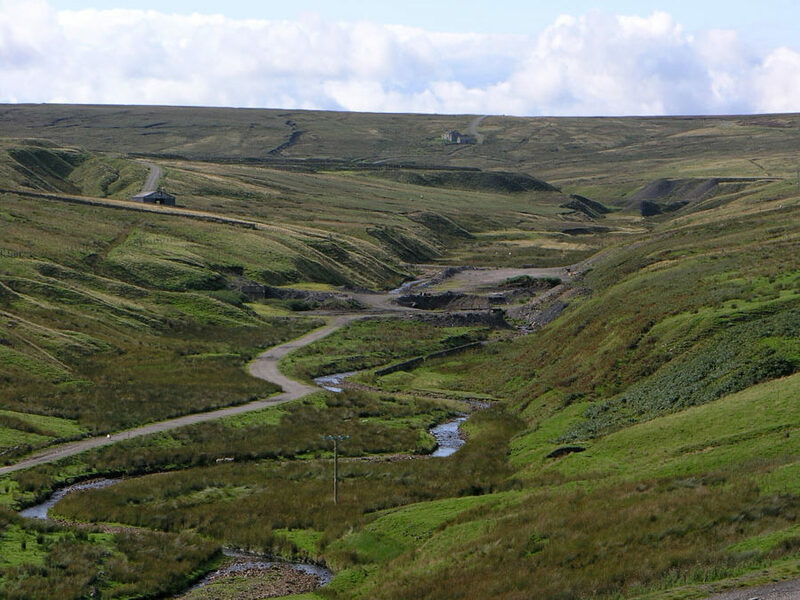 Since my teenage years, I have spent chunks of my spare time walking on the hills and moors; originally in Weardale, Teesdale and Tynedale, also in the Lake District and, more recently, in the hills and uplands of Dumfries and Galloway. I love these wide open spaces and wildernesses, their beauty, their solitude (OK, not so much of that in the Lake District sometimes, I grant you) and the feeling of being close to nature and in touch with the elements that you get when you’re walking there. Over the years, I have seen some of the changes in the way those hills and moors are used and managed. I saw the extensive closures and the losses of long-established hefted flocks during the foot and mouth outbreak back in 2001 and the months (or years) that it took to re-introduce sheep to some areas and start to build those flocks back up again. Along the way, I’ve also seen the multiplication of individual wind turbines and extensive wind farm installations on the hills – something that seems to be particularly common here in Dumfries and Galloway. Now, on the one hand, I’m a big fan of renewable energy and protecting the environment and I don’t think that we’re doing enough on those fronts. However, I’m not convinced (at all) that onshore wind is the solution – at least, not to the extent that it seems to have been favoured politically and economically in recent years. I’m no expert in the field, but it appears to me that a lot of money has been spent (and continues to be spent) in developing and subsidising onshore wind power but the most noticeable result is that the companies who are designing and installing these wind farms (and the owners of the land on which they are built) are making good money out of it while the rest of us are picking up the bill (both through charges built into our electricity bills and through taxation). Moreover, our hills and moors and upland open spaces are becoming increasingly dotted with wind turbines, fenced off by wind turbine developers and losing a significant part of their original natural beauty and their overall amenity both to us and to future generations. It also seems to me that the economic focus on onshore wind (and also, to an extent, on offshore wind) has turned other renewable energy technologies into the poor relations so that insufficient money is being directed towards research into tidal, solar and other renewables that might prove to be much better, more reliable and more stable long-term options in the future. Yes well, enough of the eco-politics, back to the poetry. You might call this a bit of a protest poem if you like. It contains years of memories from the hills of Weardale and Teesdale, mixed with what I see happening today in Scotland and it’s called The Hills. I walked these hills as a young ‘un. On shale and stone and peat. Through bracken, fern and heather. On tired and aching feet. I saw the grouse skip skyward. I saw the hare’s wild run. In mines now cold and dead. Are heard in curlews’ calls. In all this open space. And we know just the place. A dozen, here and there. The towers pierce the air. Or the holders of the lease. Why do we ruin these hills? While the rest of us live with the cost.